At the airport, the plane to Yakutsk is not exactly on time. After 19 hours delay, I have a new good friend. We land in Yakutsk, with a chilling -44C to welcome us. A picture of the plane through the triple window at the airport, while waiting for the luggage. When temperatures are below -40C, a thick fog begins to form even in clear, dry weather, just from condensing vapor produced by houses and cars. This fog sometimes is only a few meters high. Permafrost at work. One of the key features of Yakutia is a layer of permanent ice, starting just under the surface of the ground, and extending for hundreds of meters and in places up to 2 kilometers. The first houses were built in direct contact with this layer, and they melted the ice with their heat. The results are plain to see. More modern constructions are built on stilts, leaving free air circulation under the building. Hungry for a quick snack? Just open the window, grab (quickly!) one of the raw fish left out to freeze during the long winter, and slice it. It's called stroganino, and is the typical yakutian treat. Also fat-rich, raw horse meat is served this way. The deep frost kills bacteria as efficiently as cooking. In two minutes, stroganino is ready. Serve with salt, pepper, and vodka ad libitum. ... and off we go for a ride. A quick picture is all I can take, before the camera freezes. After riding at -46C, a rest inside a heated tent and a hot cup of tea is all you want from the world. Breath condenses in thick vapor. The red nose is not from the vodka, but the memory of a cold bite from the previous day in Yakutsk. One of the new building at the Yakutsk State University. Yakutia is relatively rich thanks to its bountiful natural resources, and the state of infrastructures in the city is generally much better than in the rest of Russia. However, like everywhere else, the signs of the crisis of the ruble show up. Yakutsk is full of new building, stopped halfway from completion because of the lack of hard currency to pay foreign contractors. Sunrise over the mighty Lena river. Like all other rivers in Siberia, the Lena is solid frozen during all winter and spring. The elevated pipeline in the foreground is the hot and cold water, as well as sanitation. To avoid permafrost, everything is built in thick insulated pipes, kept warm by running hot water. Heat and water are distributed in this way from a central power plant to the whole city. The black line extending diagonally to the background is a line of non-heated garages. Cars are left to freeze there during winter. Cars can be used in winter if they are left in heated garages. When parked outside on the street, the engines are left always on. ... and I must celebrate properly. The temperature outside is about -40C, and it is interesting to see how people try to dress elegant and trendy under the thick coats and furs. ... and throat-singing. This singing technique is found also in Tuva (central Siberia) and Mongolia. It requires very special skills. The singer can make both very deep, guttural sounds, as well as high-pitched ones resembling a sort of violin or flute. A cute little friend smiles at the camera. Playing football on the street is always fun, no matter what the temperature. Which in any case had risen on this day to a balmy -36C. The year of the rabbit, and of the Michelin man. I reach Batagai, centre of the Verkhoyansk region some 700 km to the north of Yakutsk. It's 3am, the air outside is well below -50C and there's no electricity, but that's no reason not to celebrate my arrival with a warm friendly atmosphere by candlelight. On the road to Verkhoyansk. .
At 2pm, the sun is about to set on the motionless, frozen taiga. A desert of ice, with the Verkhoyansk mountains at the horizon and the Moon high in the sky. In this region, there are many areas where no man has ever set foot. Down in the valley, the frozen course of the Yana river winds around like a white snake. It will serve us as a highway for the return trip. Here in Yakutia, low-lying depressions such as this, where cold air stagnates, are the sites where the coldest temperatures are recorded. Finally at the pole of cold, the first italian to reach Verkhoyansk. A well deserved commemorative shot in front of the mammoth teeth, trying to make it fast enough before the camera shutter freezes. The meteorological station in Verkhoyansk. 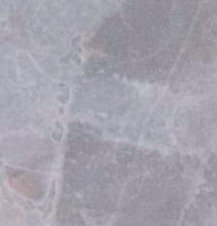 This is the place where the coldest official temperature has been recorded (-72C), at least in a naturally inhabited place (i.e. excluding Antarctica). 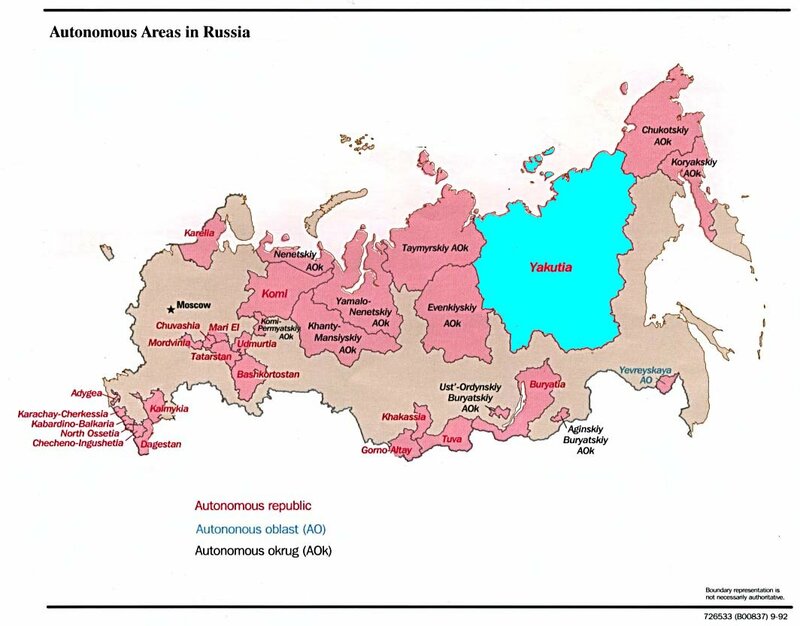 But also other parts of Yakutia claim similar exceptional conditions. The lowest unofficial temperature has been recorded in Oimyakon, with -78C. A photo shot with the mayor (at center) and an operator of the meteorological station. What a chance to get the official temperature directly from him: at this time it was -58C (-72F). The camera shutter was already frozen (as well as my fingers) when I tried to take another shot. An invitation for tea by the director of the Verkhoyansk museum (first lady to the left) turns into a wonderful dinner. Tea-time in Russia is often a misnomer for a full meal. Right after, I am invited for another "tea-time" by this unconventional lady. Quite a character, she has travelled in many distant countries in her youth, and now lives in a small house that looks like a real museum, filled with memories and souvenirs of her trips, as well as local specimens of rocks and animals. Back in Batagai, a view of the house where I stayed. The windows (three panels of glass) are constantly frozen on the outside during all winter, and the plastic bags with the fish and meat are hanging out waiting for the next stroganino. There are no hotels in Yakutia outside Yakutsk, and homestays are the only possibility. No, don't try to sleep in the park in winter. Taking a walk on the lake in Batagai. Something funny you might see, is people walking backwards for a minute or two. This helps reduce the wind on your face. Even a very small breeze can be quite devastating at these temperatures. I started to freeze my nose several times, but always got wiser before it was too late. If you are walking in company, always check out for white areas appearing on the exposed skin of your companion: it's the beginning of a frost bite. Batagai is a center for mining, and it has a small geological museum thick with minerals as well as specimens of yakutian fauna. Most notably mammoth bones and teeth, which seem to be found everywhere here. The best pieces are on display abroad or in larger cities like S. Petersburg, where you can admire "Dima", the baby mammoth found whole and well preserved not far from here in the 70's. A copy can be seen at the geological museum in Yakutsk. ... of the intrepid italian, to be shown in all houses of the regions for the general amusement. The local TV station has a simple camcorder, and broadcasts during one hour once a week. High noon in Batagai. At a temperature of -54C, the occasional car leaves a trace of thick condensing vapor. Small children don't go to school in Yakutia when the temperature is below -48C, while high school students have lower limits of -50C and -52C. It's the law! Back near Yakutsk, crossing the Lena river to the East. The Lena is 18km wide here, but from December to May its frozen waters are an excellent highway that makes travelling much easier than during the summer. ... and inside it has comfortable living quarters built according to local traditions. At Soto, we visit the tunnel where ice sculptures are kept. They stay there since seven years, and during this time the breath of thousands of visitors has condensed to form a fantastic ceiling of glowing jewels. I visited Yakutya in January 1999. For me, it was the trip of a lifetime. I had started to read about Yakutya and its fantastic winter frosts almost twenty years before, but was never able to go there. Firstly the region was off-limits for tourists in the soviet times, then it became formally open but indipendent travel was impossible in practice without guides and an official purpose. Recently, it has become not only possible, but also quite cheap to travel there. Expecially if you follow a few good rules, the first of which is travel with presents: there are no hotels outside Yakutsk, and if you end up staying with a family, it's always good if you can repay them with some little gifts. Also, people are usually very curious to learn about the outside world, since travelling abroad for most of them is almost impossible. Arm yourself with lots of patience (you'll need whenever you had to deal with burocracy and delays), good humor (Russians love to have a good time, don't we all), and a dictionary of some kind. Though English is now taught in the schools, for most yakutians this would be at least the third language after their own and russians, so don't expect a lot of understanding -your best choice is often to speak to the kids. A minimum knowledge of russian would be desirable, but is by no means a reason not go. If you do go in the winter, make sure you are warm. Forget all those fancy warm clothes that are sold in the west: unless you have a few canadian or alaskan winters on your back, you have no idea what it means to be in a real yakutian frost. The best would be to dress up as the locals do, with huge shapkas (hats) made from fox fur, thick coats, and reindeer skin boots. Since you can't get this stuff at the department store next door, try to do the best you can, which is to dress really warm and in 2-3 layers. Pay attention expecially to your shoes, gloves, and hat. Don't think that drinking vodka will suffice: in fact, though it's mandatory to be a good drinker if you want to enjoy the company of yakutian (or any other kind of russian for that matter), it would be a mistake to think that it warms you body up. Expecially, don't drink from the bottle if you have it with you outside: remember that vodka doesn't freeze, and you don't want to swallow something which is at -40C. Here is a site where you can find an updated table of currency conversions. General location (JPEG 1064X832 24 bit [112 KB]). Administrative regions in Yakutia (Gif 89 701X655x256 [60 KB]). L. Ksenofontov and his wife are very helpful. They did a lot for me, including organizing my trip to the North. Yakutia Tour Service-Centre can help you with tickets and organization. This is a commercial agency with a very good level of reliability and rensponse. It's run by S. Ipatiev, who can be contacted by e-mail in English. Russia Weather meteo site has weather info for hundreds of places in Yakutia. My special thanks to Leonid, Sardana, Nadya, Sarguylana in Yakutsk, and all the friends in Verkhoyansk and Batagai, expecially Volodya, Ol'ga, Dusya. Bol'shoe privet Lyudmile i Oksane! This page was created using a photo camera, a scanner, some freeware, and lots of patience. Click here for a list of details and acknowledgments. Created by A. Richichi, last modified: 07/07/99. Here is my homepage. If you want to know more details (such as places to stay, to eat, to avoid, and other travel tips) send me an e-mail, but first make sure to remove nospam_ from the address. If you liked this page, wouldn't you send me a postcard from the place where you live? Thanks!